Soul Serenade: The Brothers Johnson, "I'll Be Good To You"
This has been a bad week. Do you want to know how bad? Well the blizzard that we had in New England on Monday and Tuesday was the highlight of the week so far. That bad. It can only get better from here though, right? And if you are reading this column you know that nothing helps to make things better more than some good soulful music. A little funk doesn’t hurt either. So let’s get this thing started. The three Johnson brothers, George, Louis, and Tommy, joined by their cousin Alex Weir, got together in LA while they were still in school. They called themselves the Johnson Three Plus One in those days. They served as backing musicians for stars like Bobby Womack, and the Supremes. Eventually George and Louis joined Billy Preston’s band for a few years. The biggest break for George and Louis came when Quincy Jones recorded four of their songs for his album Mellow Madness, then took them on a tour of Japan. Next Jones got George and Louis signed to A&M Records, and agreed to produce the Brothers Johnson debut album, Look Out for Number 1, in 1976. The hit single “I’ll Be Good To You” was part of that album. “I’ll Be Good To You” was written by George Johnson, with some lyrical help from friend Sonora Sam, and George sang lead on the recording at the behest of Jones. The single reached all the way up to #3 on the Billboard Hot 100, and #1 on the Billboard Hot Soul Singles chart. Thirteen years later the song was a hit all over again when Jones included it on his Back on the Block album, with Ray Charles and Chaka Khan handling the vocals. 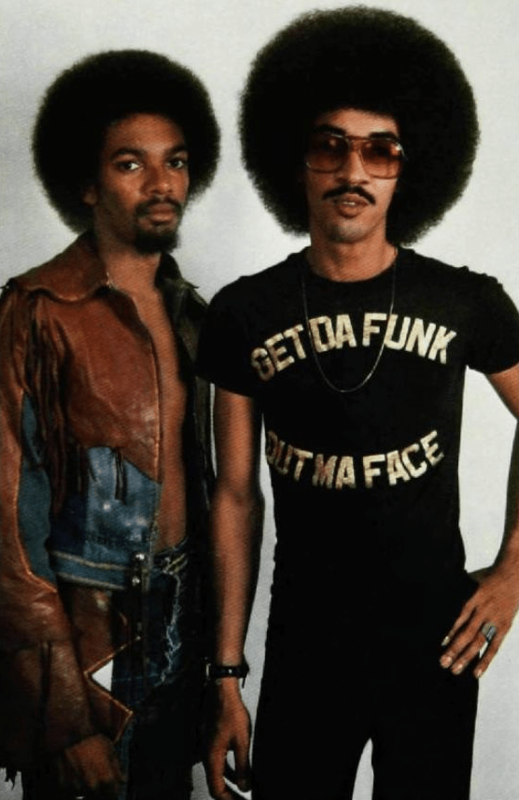 The Brothers Johnson still had a lot of gas in the tank though. Jones produced their next album, Right on Time, the following year. The album offered up another hit single, “Strawberry Letter 23,” which was written by Shuggie Otis. It was another #1 single on the Soul Singles chart for the brothers, and the album was Top 20 on the Pop chart, and Top Five on the Soul and Jazz charts. Light Up the Night was the last Brothers Johnson album before they split up in 1982 to work on individual projects. George and Louis went on to solo careers with varying success. The reunited in 1984 for an album called Out of Control. The album was produced by Leon Sylvers, but it didn’t have the kind of success that the earlier Brothers Johnson albums had. It did contain “You Keep Me Coming Back,” which was another R&B hit for the brothers. After more solo work, the Brothers Johnson got back together again in 1988 for the album Kickin’, but that one wasn’t a big success either, containing just a minor hit called “Kick it to the Curb.” In 2002 there was a national Brothers Johnson tour that resulted in the CD/DVD Strawberry Letter 23: Live. It worked. I’ve been listening to some Brothers Johnson music while I wrote this, and I feel better already.